Arthur Pewty's maggot sandwich: The Playhouse under threat? The photo above shows the largest theatre in the London Borough of Bexley, the Erith Playhouse. It is entirely run by unpaid volunteers and is a social and cultural hub of the local area. One of my very reliable confidential contacts alerted me on Friday to a document he had found squirrelled away in a dark and forgotten corner of the Bexley Council website, in a location that was exceedingly difficult to find unless you knew exactly where to look. 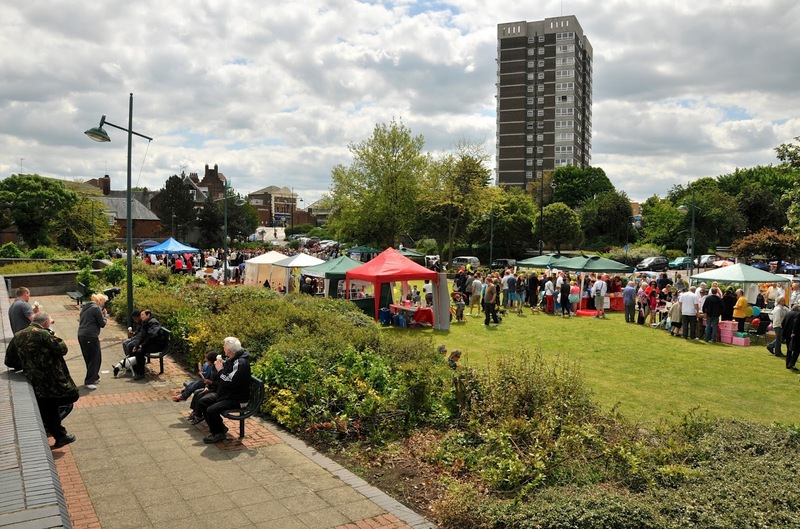 Both the News Shopper and the Bexley Times have reported this week that Bexley Council intends to generate some extra cash by selling off land that it owns around the borough. 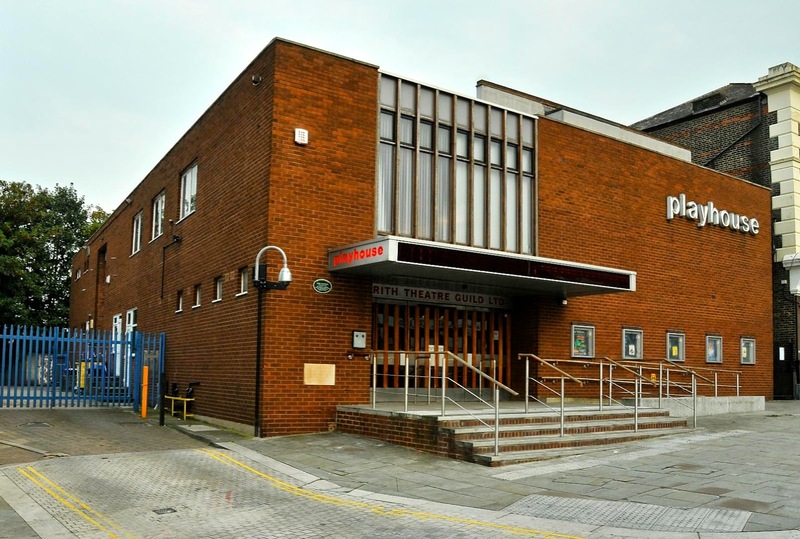 One of the sites is Erith Playhouse, to which the council owns the rights to the ground rent. The current lease on the building itself has I understand been recently renegotiated. Nevertheless, if the ground rent is sold on to an individual or private company, there is little to stop them increasing the annual charges to a point where the theatre can no longer afford it, and is forced to sell up. This is a favourite technique of disreputable property companies who have cash to spare. They buy up land rights and "land bank" sites, putting up charges to the tenants until after a few years the tenants have no option to call it a day. Bearing in mind the underhand and overbearing actions the council are undertaking in other parts of the borough (more of which later), I would be not at all surprised if they soon try once again to sell off Erith Riverside Gardens to property developers. We need to stay vigilant. Several readers have expressed a common opinion that Bexley Council have little interest in services or well being; instead they seem to have a mission to sell off every square centimetre of land to developers in order to throw up ever more tiny flats - thus increasing the Council Tax revenue for the highly paid council chiefs. Feel free to leave your own opinion at the bottom of this update. I don't think that Erith suffers from a high degree of crime; certainly when you compare it to recent events in Blackfen, where a Police officer was shot in the hand by a suspected drunk driver who had crashed his car into a number of other vehicles, the kind of criminal activity in Erith seems pretty low key. Most of the crimes I get to hear about are low level anti social behaviour / vandalism / fly tipping and metal theft. One activity that does seem pretty much unique to the area is that of the riding of illegal, unlicensed off-road style motor bikes. A number of youths can be regularly seen riding these bikes around town, especially around Manor Road and the Frobisher Road Estate areas, and also along the river front walkways behind Morrison’s and the riverside housing development. 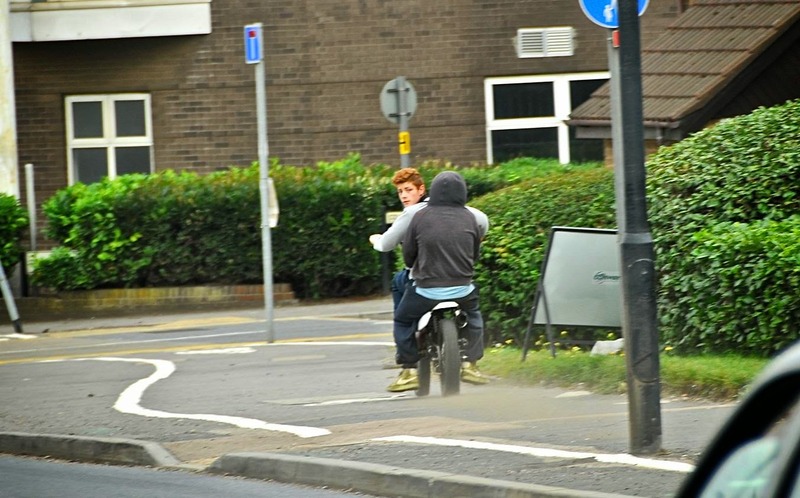 The illegal bikers usually have hooded tops on, to disguise their identities, though they never wear helmets. The phenomenon occurs all of the year around, but is especially prevalent in the summer months. Catching these criminals is never straightforward, as they weave on and off pavements, ride the wrong way along the road, and cut down footpaths with no regard for pedestrians. I recently struck very lucky in the fight against these riders. I had been into town to take some photos for the Maggot Sandwich; I was strolling back home when I heard the distinctive sound of an air cooled two cylinder engine, as often used in off – road type motorbikes. I had seen a very distinctive looking individual illegally riding such a bike around town on a number of occasions, but this time I was armed with my trusty camera and a 18-200mm Nikon zoom lens. As I expected, the rider was zooming down the footpath on the opposite side of the road, occasionally weaving onto the roadway and into the path of the oncoming traffic. The rider shot past a bus stop, where an elderly lady and her shopping trolley were standing – he almost collided with her, and had to swerve violently to avoid a contact. I focused the camera and was lucky – the rider went another fifty metres or so, then slowed to look over his shoulder back at the woman. I grabbed the moment and took the photograph you can see above – click on the photo for a larger view. Suffice to say I have been in contact with the Police, and they know the very distinctive ginger haired individual. His pillion passenger is still however a mystery. Hopefully this will send out a message to the local low – lives that a keen interest is being taken in their nefarious activities, and such criminal behaviour will not be tolerated; if they are prepared to illegally ride unregistered and uninsured bikes, what else may they be getting up to? A news story has really annoyed me this week; this is quite surprising as I have covered the issue before, but to be honest I had mostly forgotten about it. The News Shopper are reporting that the footbridge and passenger lifts over the railway at Bexleyheath station is now open for use by the public. As I wrote back in May of this year when the matter was brought to my attention by a Maggot Sandwich reader who is a regular user of Bexleyheath Station, this is madness. I have heard that even MP for Bexleyheath David Evennett could not understand what need there was for another crossing in the location, as there was already a footbridge at each end of the station and step free access. Apparently the installation of the lift and additional bridge have cost approximately £1 million. Bearing in mind MP for Erith and Thamesmead Teresa Pearce has been campaigning for step free access to the London bound platform at Erith station since August 2011, and many locals (myself included) have been vocal in support of this, yet Network Rail have made it clear that they don't see a reason to install lifts for the use of people in wheelchairs, and parents with small children in buggies.It is clearly one rule for the richer areas of the borough, and another for the less wealthy ones. With the opening of Erith Park, and the soon development of Erith Quarry, there will be more need than ever to improve public transportation in the area - very small thinking by the transport chiefs. 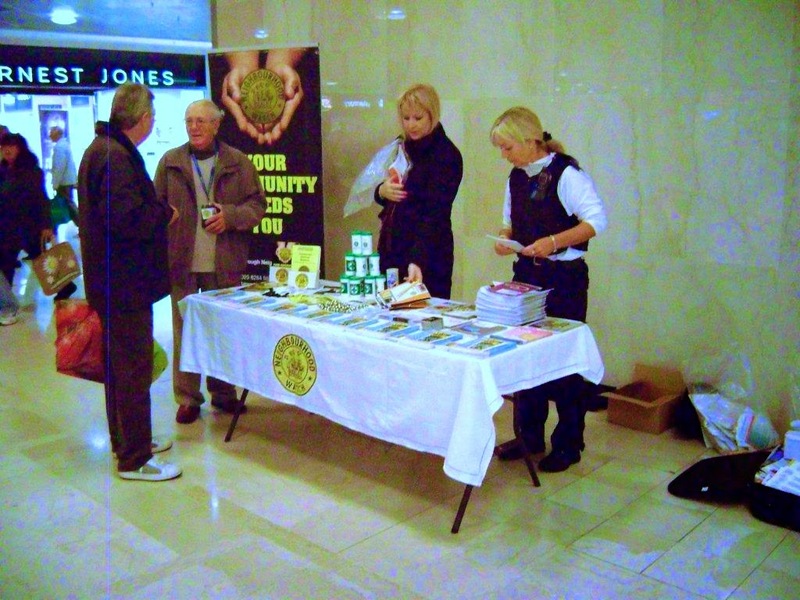 Dana Whiffen of Bexley Borough Neighbourhood Watch Association reports that "Monday 6th October 2014 was National Personal Safety Day, volunteers from Neighbourhood Watch and Bexley police engaged with the public in Bexleyheath Shopping Mall handing out hundreds of specially designed leaflets from The Suzy Lamplugh Trust as well as other Neighbourhood Watch items. Nearby Bexley Library, Yorkshire Building Society and Starbucks allowed us to leave leaflets on this successful day, it was our second year it taking part in this national scheme". Some confusion exists about the charging system used on the Dartford River Crossing. The existing Dart Card payment system is being replaced with Dart Charge – a system that uses Number Plate Recognition technology to charge bridge and tunnel users, rather than the old method of giving your cash to a toll booth operator – surely one of the most boring, repetitive and unpleasant jobs. The hope is that automating the process will speed up the flow of traffic and thus keep the M25 running a little better than currently. It is anticipated that a similar system will be employed on any new crossing of the River Thames, so it is vital that the deployment runs smoothly. It is my understanding that things have not been going very well; as I recently mentioned when referring to the replacement of the vehicle excise duty disk (commonly referred to as the tax disk) with checking using Number Plate recognition systems, it has been found that a relatively large number of false number plates are in use in the area. I know when I have reported the illegal use of motorbikes in Erith, on one occasion the vehicle in question did have a number plate. I dutifully recorded the number, and reported it to the Police, only for them to look it up on their database, and then to be told that rather than a dodgy moped, the plate was correctly assigned to a silver Vauxhall Astra van! How the operators of the Dartford River Crossing will deal with this has yet to be determined. I am of the firm opinion that the UK economy as a whole would be benefitted by all bridges and tunnels being free at the point of use – as residents in both Bexley and Dartford were originally promised when the first Dartford Tunnel was constructed. It has been absolutely ages since I last published a recipe on the blog, so I am putting that situation right now. This traditional Mauritian supper dish (called Rogai or Rougaille depending on who you ask) is ideal for this time of year as the nights draw in, and is very easy to make in a single saucepan, and can easily be prepared from stuff you have in a store cupboard. It costs pennies and is especially great when you are feeling unwell with a cold - the garlic and chilli really help decongest those sinuses, and it packed full of goodness - serve in a bowl or mug and eat with crusty bread. It was taught to me years ago and is delicious - you can vary the ingredients as you wish - this is just the basic version. Small tin of pre - cooked chickpeas or red kidney beans. Use a large saucepan, heat the vegetable oil, then add the chopped onion, and cook until it starts to soften. Add the finely chopped chillies and garlic and cook for 3-4 minutes until they too start to soften. The add the tin of chopped tomatoes and tomato puree, followed by a generous dash of Worcestershire sauce. Cook down for 10 - 15 minutes until the mix starts to reduce, then add the peas and sweetcorn; heat them through and then add a handful of chopped fresh coriander and serve. You can add a handful of defrosted pre cooked prawns as you serve, (don’t leave prawns on the hob if you keep what you have not already eaten hot, as they will become rubbery and tough) Alternatively you can add chickpeas, chopped baby new potatoes or tinned pre cooked red kidney beans a few minutes before serving. It makes a very filling and satisfying meal that is very tasty and cheap. Serve with a hunk of crusty bread such as bloomer. You can allow what you don’t eat too cool off, then keep it in the fridge to reheat via microwave. Software publisher Adobe produce an application called Adobe Digital Editions; this a program which, in their own words: “Readers want choice, flexibility, and ease — to buy or borrow books and read them on their preferred reading devices. Adobe Digital Editions software offers an engaging way to view and manage media rich eBooks and other digital publications. Use it to download and purchase digital content, which can be read both online and offline. Transfer copy-protected eBooks from your personal computer to other computers or devices. Organize your eBooks into a custom library and annotate pages.” Quite. What Adobe don’t tell you is that the application has a second payload; a program that makes a note of every e-book you read, how much of it you read, and how fast and for how long, where you were physically located when you were reading it, along with the unique e-book reader device ID. The program also notes the date of the e-book purchase, along with the author, price and title. This information is then sent unencrypted back to Adobe’s servers. This is a security nightmare, and Adobe had shot themselves in the foot over the whole issue by trying to play it down. They would have been far better off admitting that they had blundered. In contrast Microsoft, and their inclusion of monitoring software in Windows 10 have been a model of openness and honesty, something that historically they have had a very poor reputation for. I would suggest that there are plenty of other varieties of e-book management software out there, and (for now) at least you would be better off in using another product. I believe that the amount of negative publicity Adobe will be subject to will make them decide to remove the snooping code as soon as possible. Many readers will know that Bexley College was officially opened by London Mayor Boris Johnson on Tuesday morning. I was invited to the event by college Principal, Danny Ridgeway, but I was unable to attend due to commitments in my day job. The opening has been well covered in the local press, as well as by fellow local blogger Malcolm Knight of “Bexley is Bonkers”. As I have said on several occasions in the past, I think the move to Erith of Bexley College is a huge boost for the town. I have already seen lots of college students in and around Erith Riverside Shopping Centre, and I am certain that their presence will be a benefit to the shops and surrounding businesses. One other thing that Malcolm has brought up is something that I know is very close to the hearts of many Maggot Sandwich readers who have small children; The Upper Belvedere Splash Park is threatened once again with closure as puritanical Bexley Council yet again want to cut spending on anything which might bring a touch of fun and pleasure to local residents. Bexley have already cut the number of days that the park opens in the summer months, citing “maintenance and cleaning” as the reason, when the actual reason is to reduce the staffing costs, which actually only amount to around £20,000 a year – peanuts in real terms. Now yet once more they threaten the extremely popular summer destination with closure. It is one of the only free attractions available to many less well-off local families, and provides a safe and well regulated place for children to play with water under supervision. The last time the park was threatened, a very large, vocal and effective FaceBook campaign was set up to save it. I am in contact with the person behind the group, and will report back as to what they intend to do to mobilise a new protest against the Splash Park being closed. If you have any further information or insider knowlege, do feel free to drop me a line in strict confidence to hugh.neal@gmail.com. Things down at the Bexley Brewery seem to be going very well indeed. Chief brewer Cliff has now got Bexley beers being served in The Door Hinge, Welling, The Prince of Wales, Belvedere, Dartfordians Rugby Club, Bexley, The Penny Farthing, Crayford, The Robin Hood and Little John, Bexleyheath, The Volunteer, Bexleyheath, The New Cross Turnpike, Welling, The Wrong ’Un, Bexleyheath and now the Tailor’s Chalk, Sidcup. As you will see above, all of the Wetherspoon’s pubs in the London Borough of Bexley are now stocking Bexley Brewery beers. This is excellent news for a business that has only been brewing for a scant handful of weeks. 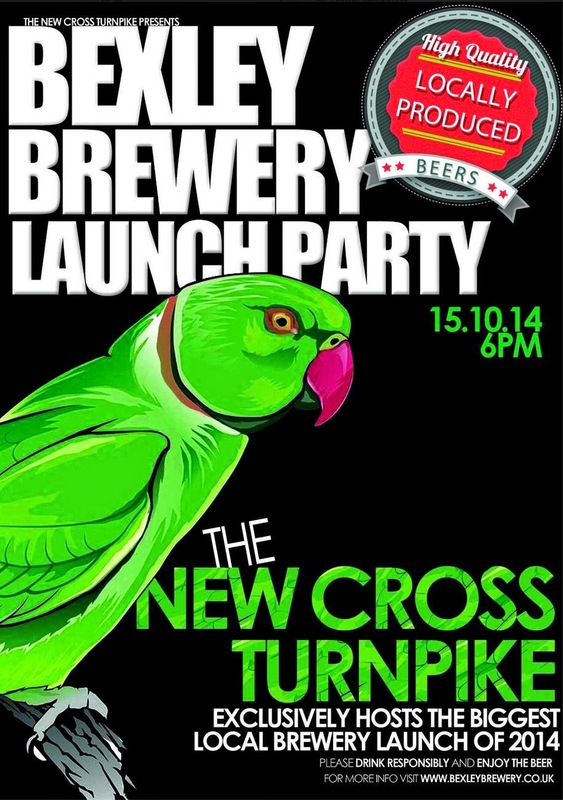 Bexley Brewery will be running their Wetherspoon’s launch event on the evening of Wednesday the 15th; the evening will start off at the New Cross Turnpike, and after an hour the launch will move on to the Wrong ‘Un, then after another hour on to the Furze Wren and lastly the Tailor’s Chalk. It should prove to be an interesting evening. I gather Cliff has seconded his wife for driving duties, which seems like a sensible move. I received this comment from occasional Maggot Sandwich guest contributor, who goes by the pseudonym "The Rev":- "As this story is pretty mundane I hope your readers don't mind me trying to spice it up with some silly prose! Set the scene...Saturday mid-afternoon in Asda Belvedere car park... in the rain... It's akin to the Somme but with more shopping trollies and fewer Germans. Grown men weep as thoughts of happier time roll around their head like trainers in a washing machine. Women, wild eyed, teeth clenched rush round like demented Japanese Kabuki actors but wearing "sports casual" instead of mask-like ceremonial representations of emotions and dragging gremlin like children in their puffy ankled wake. For me the ordeal of Saturday afternoon food shopping with two hyper children was almost done by 3pm, I had slayed the monster called "Teatime" with food purchased as my least favourite supermarket in the area (although Tesco Express come close only because I loathe seeing people in their night clothes) when as I loaded my bags into the boot of my car there was an almighty BANG. Two rows over from where I was parked a large brand new 4x4 was now parked in the front of B and Q's TradePoint. And I mean that literally AND actually. Who've was driving had some how rocketed forward and luckily missed ending up parked inside the store by a (reasonably priced) pallet of Blue Circle Concrete mix (although I prefer to use local stores so use Raj's in Belvedere Village for all my DIY bits and pieces but I digress). Luckily no one was walking past between Asda and B and Q or there would have been a serious incident, serious as in "crushed to a fine red paste not dissimilar to a red Pesto". I then after a quick warp drive away as I knew the car park would snarl up within minutes. It's like that". Quite. We have another technical anniversary this month; it is the twentieth birthday of the smart phone – though the actual term was not coined until several years later. The IBM Simon was a (then) revolutionary mix of a GSM mobile phone with a PDA (Personal Digital Assistant). In addition to its ability to make and receive cellular phone calls, Simon was also able to send and receive faxes, e-mails and cellular pages. Simon featured many applications including an address book, calendar, appointment scheduler, calculator, world time clock, electronic notepad, handwritten annotations and standard and predictive stylus input screen keyboards. All this is run of the mill now, but was mind – boggling stuff back in the day. Surprisingly the Simon did not sell very well. Part of this was the price – it cost a lot. 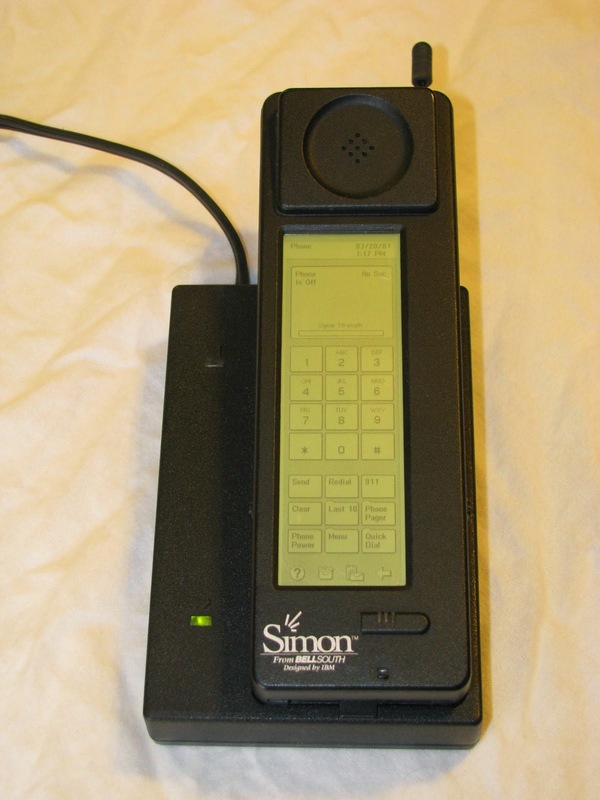 In the USA, BellSouth Cellular initially offered the Simon throughout its 15 state service area for US$899 with a two-year service contract or US$1099 without a contract. A not inconsiderable sum, on top of which were the call and data charges. If this was not enough, the initial production run of the Simon was plagued by software bugs – not surprising in a brand new concept that was arguably rolled out to the retail market before it was fully mature. A few Simon units were used by IBM UK executives, but it was not a phone that ever went on general release in the UK – at the time it was thought that there would be insufficient market for such a device. In the end, only around fifty thousand IBM Simon phones were sold, and the product was eventually withdrawn from sale six months after release. Nevertheless, it was the pioneering device in what has now become a multi-billion dollar worldwide industry. The next exhibition on the future of Erith Quarry and the proposed residential development has been booked for Saturday the 18th October, starting at 11am. The developers and their public relations company will have an open to all display in the main entrance hall of Trinity School in Erith Road, Belvedere. There will be updated architect’s drawings of the site which will have incorporated some of the ideas and feedback from the previous open day, where many locals came to see what was proposed, and to offer their own suggestions. I will be on site with my camera at some point in the day – do come over and say hello if you see me.